A real Fender from the 1980s! 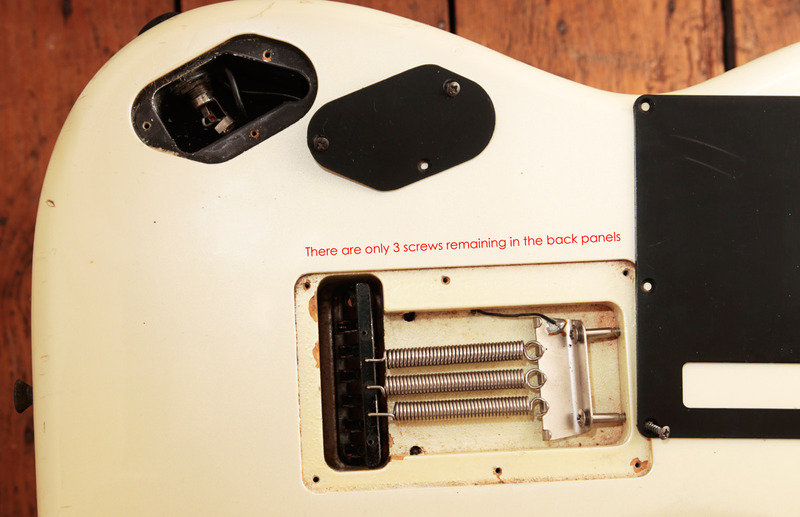 I’m no guitar collector or expert, just a player, so these details are what I can find out based on the serial number (E768184) and quite a lot of online research. According to https://en.wikipedia.org/wiki/Fender_Contemporary_Stratocaster_Japan, it’s a 1987 Fender Contemporary Stratocaster E Series. In 2019 I decided to sell it because someone drew my attention to what a desirable guitar it is, which made me think about selling it in order to fund the purchase of a Variax (which suits my musical requirements more now.) I’ve adapted this page from my ebay listing. I’ve made this video showing the features of this instrument. Look at the big pictures below for a close up view. Note that I’ve made a few mistakes in the video which are corrected in the description, eg the tremolo system is a stock one - I couldn’t believe that the simple spring-and-screw system wasn’t home-made! Further specs, based on what I can find out about the serial number. 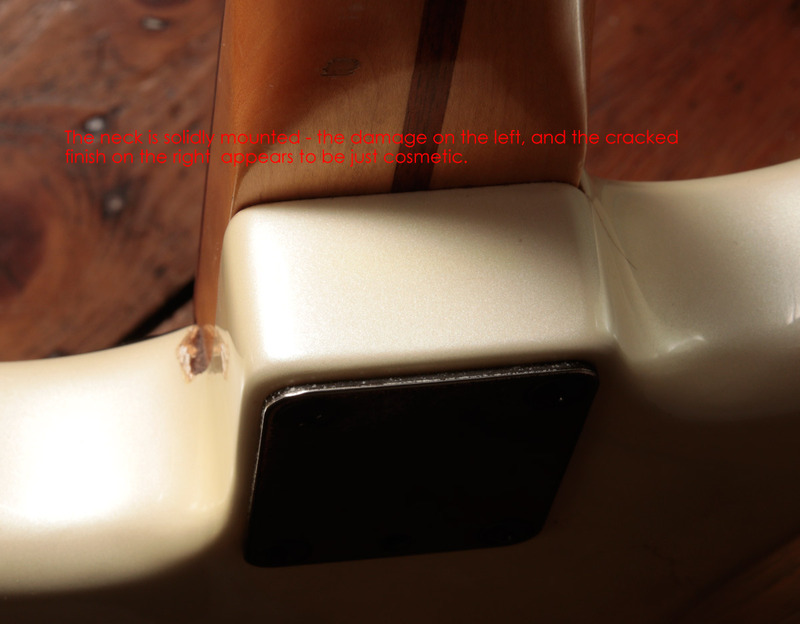 I hope these details accurately match the guitar I have, but I’m not able to fully authenticate all the woods and components. Pearl finish with black scratchplate. Pickups: original single coil and humbucking pickups, and a new humbucking (I think) pickup. D profile neck with a 12” radius. Microtilt neck angle fine adjustment. Open, zoom in and have a good look around. The guitar is structurally sound and everything works. The body has some marks and chips which I’ve tried my best to show in the pictures.